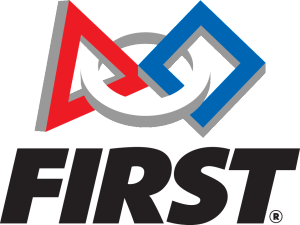 Across the world, hundreds of teams and thousands of students gathered for the 2016 Robotics season kickoff. Teams from Houghton, Calumet, Lake Linden, and Ewen Trout Creek were among those who waited on the edge of their seats for the 2016 kickoff video to begin. Many of the team members waited with barely contained excitement for the end of the video and the revelation of the brand-new 2016 game. This would be the game that would test the limits of their creativity for the next six weeks as they designed and built a unique robot to compete in the new game. After the initial video revealed the game to be a medieval-themed castle attack, a series of shorter videos were watched to determine the more exact details of the field that would be competed on. Several students and mentors searched the rule book for important rules and ways to score. Once the various ways to score were established, the students broke into small groups to brainstorm ideas and designs. Many ideas were brought up and discarded, and often brought up again. The returning students brought prior knowledge and experience, while the new students brought fresh eyes and new perspectives. Everyone brought good ideas. Overall, the 2016 Robotics kickoff was an exciting, but relaxed and friendly event. The gathered teams were more than polite to one another. They even laughed and joked together as they helped each other come up with designs and strategies for the game. One More Week Until Bag & Tag!